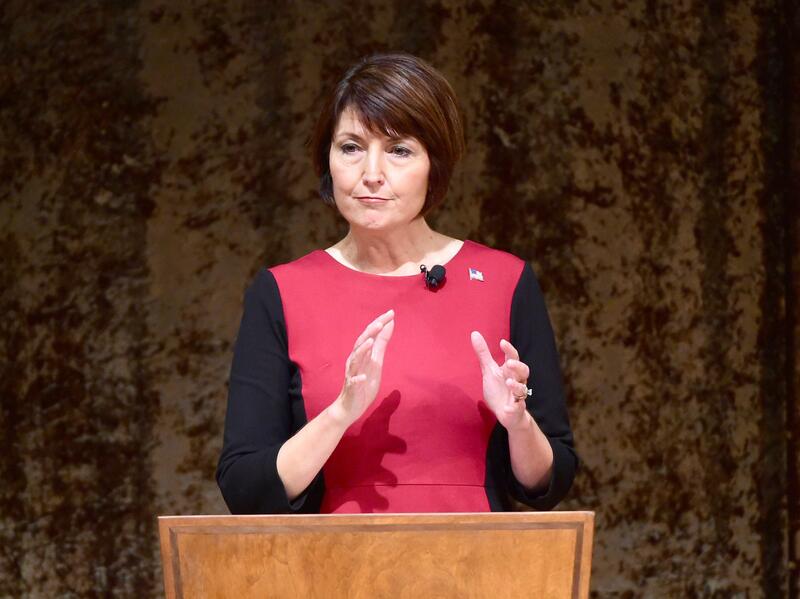 Rep. Cathy McMorris Rodgers will serve as one of two elected lawmakers representing Congress at the United Nations, a position she intends to use to promote the American economic system and help protect Israel’s security. “My goal is going to be to encourage values and decision-making that reflect the United States of America and our values of promoting freedom and democracy around the world,” Eastern Washington’s congresswoman said in an interview Monday after her office announced the appointment. McMorris Rodgers was asked to serve by Rep. Kevin McCarthy, the California Republican currently serving as minority leader in the House of Representatives. She’ll be joined by a Democratic lawmaker to serve as a member of the U.S. contingent to the international organization’s headquarters in New York City, a role that the congresswoman said would involve a handful of trips to sit in on General Assembly proceedings. The Republican lawmaker, who stepped down from a position of party leadership following the 2018 midterm elections, said she considered the defense of Israel to be an extension of the United Nations’ founding mission. “Israel was recognized as a separate state just over 70 years ago, and it was the U.N. that was instrumental in making that happen,” McMorris Rodgers said. McMorris Rodgers said she supported President Donald Trump’s proclamation last week recognizing Israeli sovereignty over the Golan Heights along the country’s eastern border with Syria. The U.N. has not recognized the Golan Heights as belonging to Israel, and Trump’s move last week was widely panned throughout the Middle East and in Europe. The territory, a stretch of rocky plateaus measuring about 700 square miles, was captured by Israel from Syria in 1967. McMorris Rodgers has long been a backer of Israel in Congress, supporting Trump’s decision to move the U.S. embassy to Jerusalem and backing bipartisan legislation in the House of Representatives that would add language more specific to Israel to laws dealing with discrimination on college campuses. “Israel is the only democracy in the Middle East, and I believe that it is important that the United States remain a staunch, unequivocal, steadfast friend of Israel,” McMorris Rodgers said. The congresswoman also said she saw the role as promoting human rights internationally, a goal she said dovetailed with supporting America’s system of government and economics among socialist countries. That criticism of certain socialist countries was part of McMorris Rodgers’ campaign to retain her seat in Congress last fall, in pointing out that her opponent, Lisa Brown, had visited Nicaragua in the 1980s and had demonstrated support for its socialist leaders. The word has also been employed recently by Republicans, including Trump, pushing back on some policies pushed by Democrats in the new majority of the House of Representatives. According to the Congressional Research Service, McMorris Rodgers will be the first Washington lawmaker to serve as a representative from Capitol Hill to the U.N. since at least 2000. Federal law allows for up to four members of Congress to join the permanent ambassador to the U.N. for meetings of the international body, but typically only two are appointed from either the House or Senate on a rotating basis. The appointment usually lasts for the two-year Congressional term. Published: April 1, 2019, 6:55 p.m. Updated: April 1, 2019, 9:46 p.m.